A RIPPLE UPON THE WATER-- Cover Mockup! So, a few weeks back I stumbled upon a website filled with completely gorgeous art-- fairies, mermaids, dragons-- I couldn't stop staring at them! 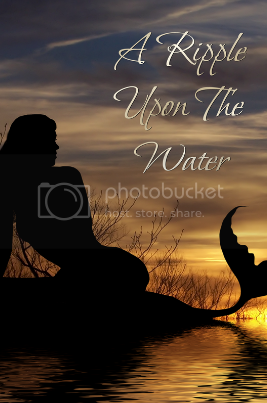 I e-mailed the artist to ask if I could use one of her mermaid prints on my website as a placeholder for the cover art for A RIPPLE UPON THE WATER, if RIPPLE indeed becomes my book 2. Not only did she give me permission, but she prepared a mock-up cover for me! If you want to see more of her art or buy prints of anything, check out her website. And as a probably un-needed disclaimer, my publisher is the one who makes and decides upon the actual covers, so this is a just-for-fun mock-up. Although if you ask me, I think it should be the real thing.